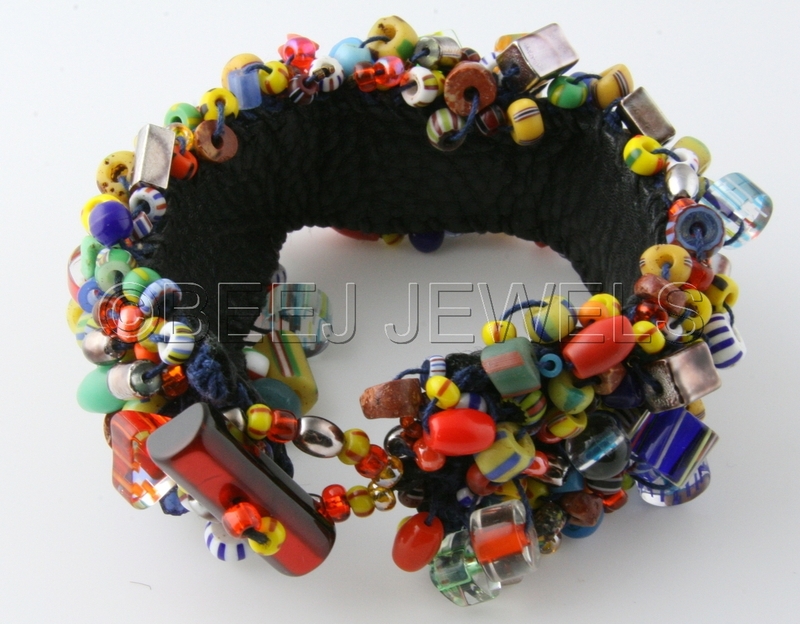 Handmade Bead Crochet Cuff bracelet (7-1/2") of over 360 African Trade and Cane Glass Beads. The cuff is secured with a red button clasp with a handmade bead loop. Beads are crocheted on Navy Cotton Thread and hand sewn with black leather thread to a hand punched soft Black Deer hide backing. The crochet cuff is attached with clear fabric adhesive onto the soft deer hide.